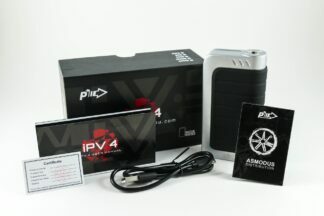 The IPV D2 Mod is the newest addition to Pioneer4You’s impressive lineup of legendary IPV mods. The IPV D2 Mod by Pioneer4You is their latest take on an IPV Mini V2 mod but now with temperature control, more wattage and lower atomizer resistance! 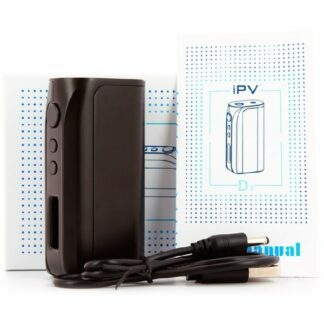 The IPV D2 is a single 18650 battery mod that features a quick access slide to remove battery cover. This little beast has an output of 75w in standard mode and 50j in temperature control mod. It can fire standard kanthal atomizers down to 0.2Ω and can fire temp control atomizers all the way down to 0.05Ω with a temperature range of 200°F – 575°F. 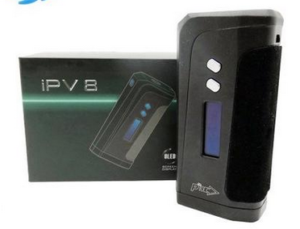 The IPV3-LI V2 Box Mod by Pioneer is the newest version and most updated version of the famous IPV3 Mod. The Pioneer4You IPV3-LI V2 Box Mod packs a major punch, allowing you to go up to 165 watts and fire atomizers as low as .10 ohms! Not to mention the new IPV3-LI V2 Mod features Temperature Control and a Magnetic back cover allowing you to simply change your batteries with no hassle. The Pioneer4You IPV3-LI V2 Mod is controlled and upgradeable box mod with a 510 atomizer connector, it will come out of the box with 165W and will be upgradeable to 200W. The IPV3’s Billet Aluminum body features room to use (2) 18650 Flat Top Batteries, which will increase your voltage times two. The Pioneer4you IPV8 TC Box Mod is the modern advancement of the legendary IPV series, utilizing the latest proprietary YiHi SX330-F8 Chipset with 230W of maximum output and sophisticated temperature control suites constructed within an industrialized and trim structural chassis.